Ernette (Michael) Gyde,Maybee, MI; Kevin Hepfer, Farwell, PA; Terry (Nina) Hepfer, Linden, PA and Mary (Andrew) Charcalla, North Bend, PA.
On September 14, 2002 Lola married Richard A. Grenell who survives at home. She was the step-mother of: Ann (Rick) Sanford; Richard (Joy) Grenell, Jr. : Carol Grenell; Rob Grenell, Jeff Grenell; Kim Brininger; Verda Uhrin and Christina Grenell. She is also survived by 27 Grandchildren; 5 Great-Grandchildren with a new Great-Grandson due in February, 2019. 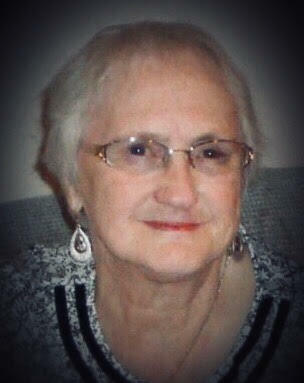 An active member of the Renovo Community Choir, Lola was a member of the North Bend United Methodist Church where she played organ and piano for 55 years. She was also a Past Worthy Matron of the Renovo Eastern Star and was a volunteer at the Flaming Foliage Information Center. Lola has worked at Sylvania in Emporium, PA and had retired from Woolrich after 25 years of service. She had also worked for W.T. Story in Renovo. A memorial service honoring the life of Lola Jean Grenell will be held Thursday, November 15, 2018 at 12 Noon in the North Bend United Methodist Church with Rev. Doug Conway, Rev. Robert Pickering and Martha Sykes officiating. Visitation 1 hr. prior to services. Interment in Reidy Cemetery, Wallaceton, PA will be at the convenience of the family. In lieu of flowers, memorial contributions may be made to the North Bend United Methodist Church.